Have a look at another example: how big is a 75-gallon aquarium? Determining fish tank volume has never been easier - with this aquarium calculator you can do it in a blink of an eye. 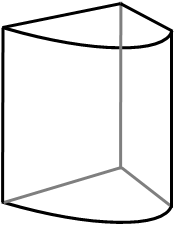 Find water volume 💧 which will fill up your container: choose between 7 typical aquarium shapes - from a simple box, through cylindrical variations, to bow front tanks. If you're wondering what're the formulas to calculate the aquarium size or you're not sure how to use this tool, just scroll down and you'll find the answer below. If you're looking for the amount of water that goes into a swimming pool, check out our pool calculator. 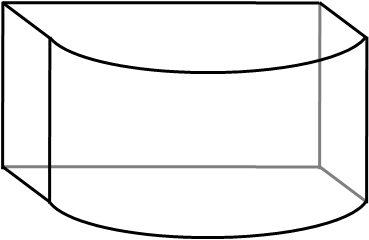 It's handier to use radius instead of diameter in this last case: diameter = 2 * radius. where α is a central angle of the circular segment, in radians and r is a radius of a circle. α may be calculated as α = 2π - 4β, where β is an angle expressed as tan(β) = 0.5 * length / (full_width - width). Aquarium in custom or bizarre shape? Check out our other tools such as triangular prism volume or spherical cap calculator which can find water volume for spherical aquariums, also called fish bowls. Just remember that such tanks are not appropriate for keeping fish and in some countries they're even forbidden! Spherical aquariums are usually small tanks, fish have to swim in circles, what is unnatural for them, and it's hard to put a filter into such tank. Consider a different aquarium shape despite the fancy look of such a tank. Choose the shape of your aquarium. Assume that you have a bow front fish tank, so select this option from a drop-down list. 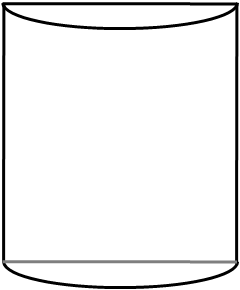 Enter the tank dimensions. In our case, we need to type four values. Let's say that the length is 35 in, full width - 18 in, width - 15 in and height 20 in. 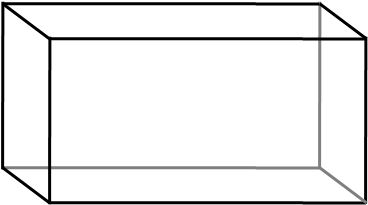 The aquarium calculator finds the volume of your tank. In our case, it's 51.55 gallons. If you're wondering how much is that in liters, click on the unit name and select the one you're interested - e.g., our aquarium volume in liters is 195.14. Remember that those calculations may serve as estimations and the result obtained doesn't mean that precisely 51.55 gallons will fit into your tank. We don't take into account e.g. 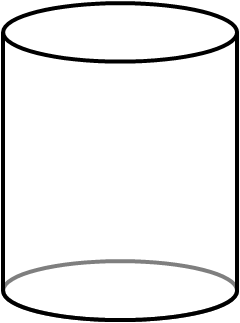 the thickness of the glass or the volume of other objects, such as sand, gravel, filter, plants and... fish. Also, you don't fill up your container completely, do you? You heard that your friend has just bought a 75-gallon aquarium. Well, it's hard to imagine, how big is that? Let's check it with this aquarium calculator! Choose the fish tank shape. 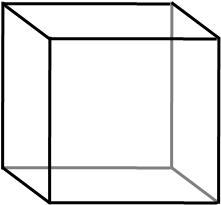 We know that our friend is rather a traditionalist, so his obvious choice is a standard rectangular prism tank. Type the volume - in our case, put 75 gallons into the volume box. 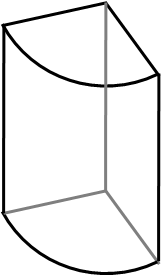 Enter two tanks dimensions. Usual height of the aquarium is something between 18-26 in, let's say it's 22 in. 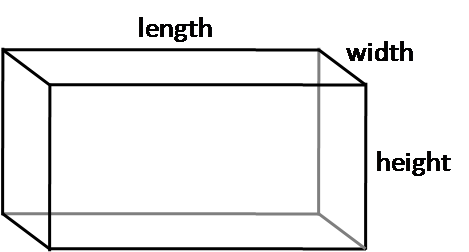 Additionally, assume the width is the same as height. We found out that this 75-gallon aquarium has ~35.8 in length, so the dimensions are 35.8 x 22 in x 22 in. Quite big, huh? Experiment with different dimensions and shapes to get a better understanding of the concept of volume. 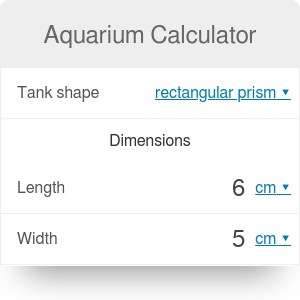 Aquarium Calculator can be embedded on your website to enrich the content you wrote and make it easier for your visitors to understand your message.